Be the first to share your favorite memory, photo or story of Dr. Harold. This memorial page is dedicated for family, friends and future generations to celebrate the life of their loved one. Dr. Harold Axel Nord, 62, of Bloomington, was called home at 12:40 a.m. on Friday, June 8, 2018 at OSF St. Joseph Medical Center, Bloomington, and is now in the arms of his Lord and Savior Jesus Christ. His funeral will be at 10 a.m. on Tuesday, June 12, 2018 at Eastview Christian Church, with Revs. Bob Knapp and Mike Baker officiating. Interment will be at Park Hill Cemetery, Bloomington. Visitation will be from 3 to 8 p.m. on Monday at Eastview Christian Church. Carmody-Flynn Funeral Home is assisting the family with arrangements. In lieu of flowers, memorials may be made to Haitian Christian Ministries or Eastview Christian Church. He was born September 23, 1955 in Bloomington, son of Dr. Stanley K. and Sudie M. Whitinghill Nord. He married his high school sweetheart, Debra McIntyre on July 14, 1974. Surviving are his beloved wife of 44 years, Debbie, of Bloomington; his three children, Melissa (Tom) Waterson of Bloomington, Matt (Mellisa) Nord of O'Fallon, MO and Mike (Emily) Nord of Normal; his 11 grandchildren, Ernie Waterson, Ruthie Waterson, Bobby Waterson, Ollie Waterson, Carson Nord, Cannon Nord, Cooper Nord, Axel Nord, Rae Nord, Edna Nord and Isla Nord; his seven brothers, Dr. Ronald (Diane) Nord, Dr. Paul (Karen) Nord, Dr. Lawrence (Connie) Nord, Dr. Daniel Nord, John (Donna) Nord, David Nord and Douglas (Deborah) Nord, all of Bloomington; his one sister, Carolyn (Allen) Fox of St. Charles, MO and many nieces and nephews. 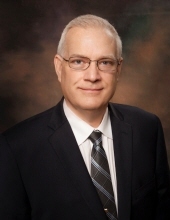 Dr. Nord was a 1973 graduate of Normal Community High School, Illinois State University and University of Illinois Medical School and was an OBGYN in the Bloomington-Normal community for 31 years. His greatest joys were spending time with his family, serving in his church, working the mission field in Northern Haiti for 23 years, and caring for his patients by "Ministering the love of Christ through healthcare" (his medical practice's mission statement). He will forever be remembered as a man of peace, whose gentle and kind spirit touched so many lives. "Therefore, since we have been justified by faith, we have peace with God through our Lord Jesus Christ. Through him we have also obtained access by faith into his grace in which we stand, and we rejoice in hope of the glory of God. We rejoice in our sufferings because God's love has been poured in to our hearts..." Romans 5: 1-5. "Email Address" would like to share the life celebration of Dr. Harold Axel Nord. Click on the "link" to go to share a favorite memory or leave a condolence message for the family.